Yay, we got our hero, may be we're saved...then again, knowing SUPACAT's proclivity of causing massive amounts collateral damage, maybe not. PS - I noticed Pliny's worried expression on the banner. Making the end hit close to home, aren't ya? awwwww SNAP! this is why i shouldn't miss weekends. 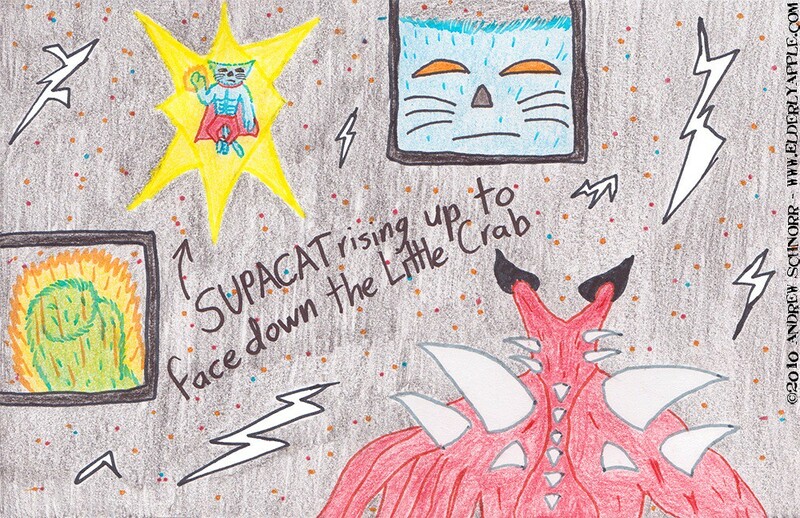 oh, and ALL GLORY TO SUPACAT!! !